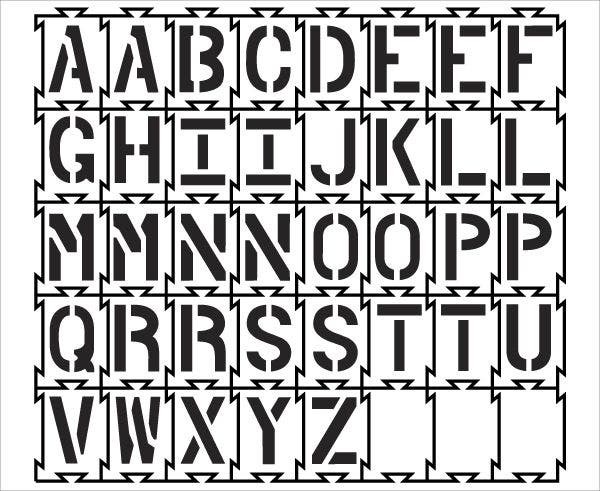 Stencils are guidelines to efficiently reproduce a pattern over and over again. You might have used stencils at one point or another in your journey as an artist. These are the pieces of paper, plastic, wood, or metal that have designs, patterns, and letters cut into them. Once meant as tools, they have become art themes themselves. 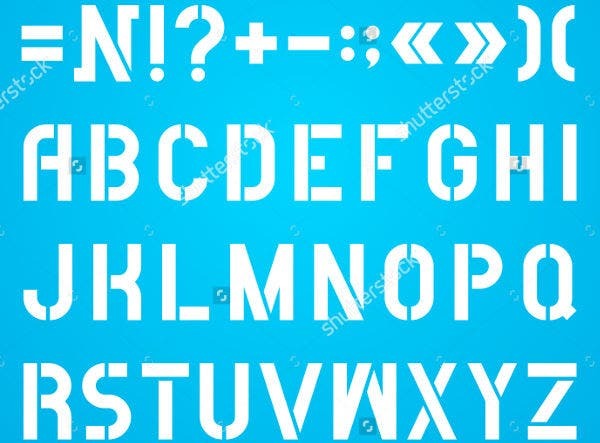 Included in this collection of stylized stencils are font styles based on the design of actual stenciled alphabet letters. In digital typing, stencils are rarely needed. But as a design motif, they can have an interesting effect. 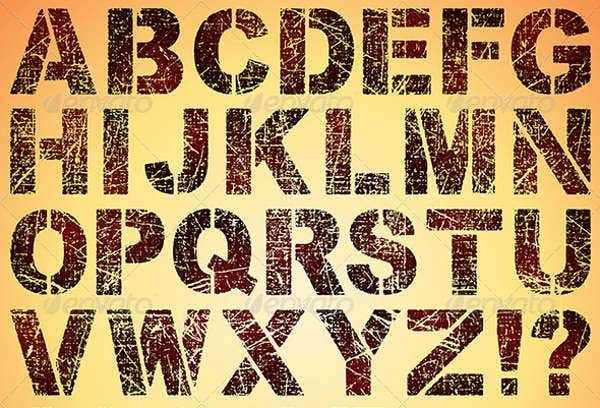 If you’re browsing for design ideas using stencils, we have collected a list of the best stenciled letter templates from around the web. 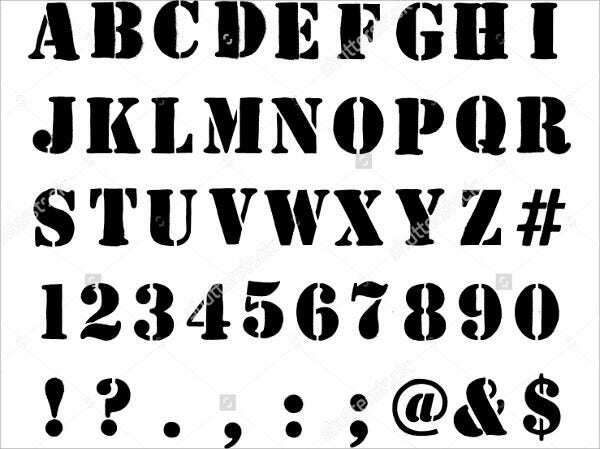 Some are available as free plate references, some are for sale as actual stencils, and others can be licensed as font styles. street art (once seen as “cheating” over freehand painting, they are now artistic mainstays, popularized most notoriously by the likes of Banksy). 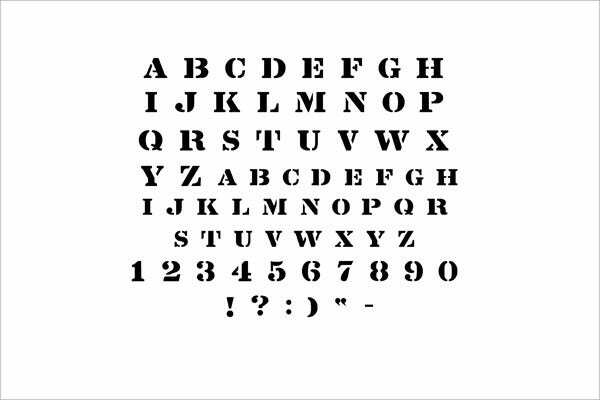 The postmodern, attractive aesthetic of the stencil has also been translated into the digital realm of font styles. 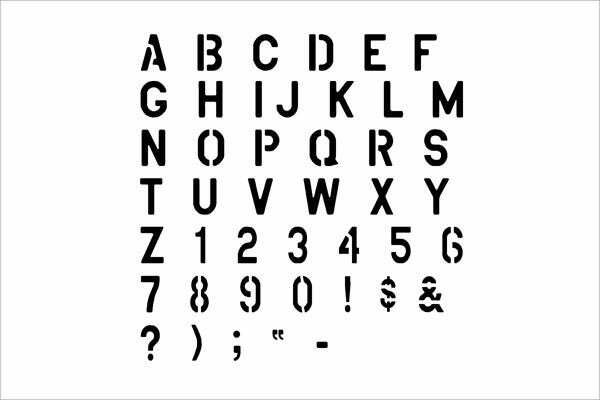 You can see the characteristic effect of alphabet stencils everywhere, from T-shirts to stationery and online web designs. 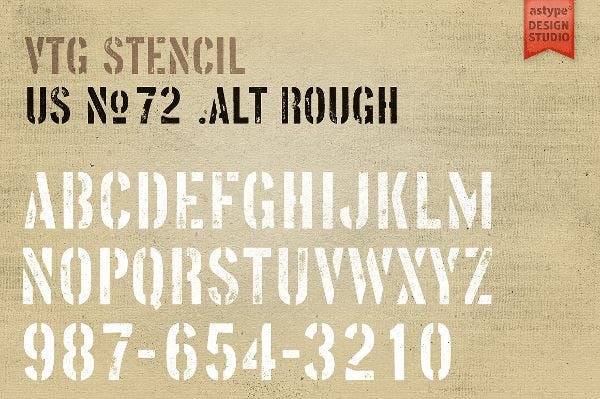 Stencils often take the form of clean, utilitarian-looking sans serif letters. They will often have lines that intersect the stroke of a letter, connecting the internal spaces to the negative space outside the letter. These connectors are often the one distinctive feature marking any style as a stencil, whether or not an actual stencil was used. 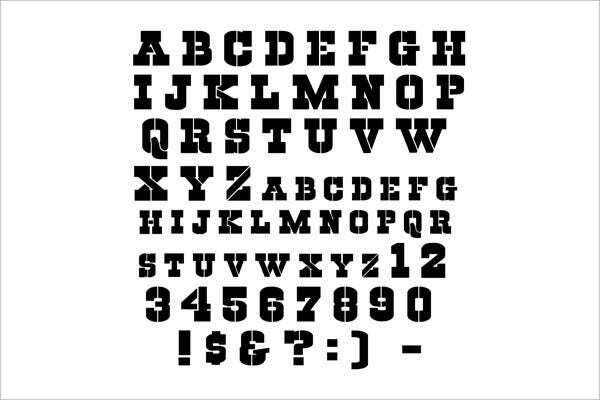 The beauty of customized font styles is that they can be designed to imitate styles that didn’t start out as styles. 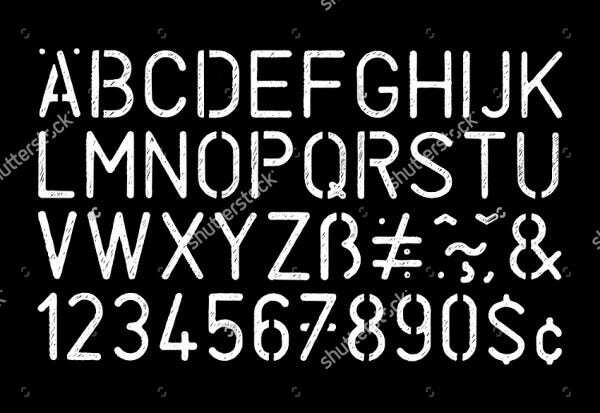 The “stencil look” is a byproduct caused by the process of using traditional, concrete materials to replicate letters and designs with templates. 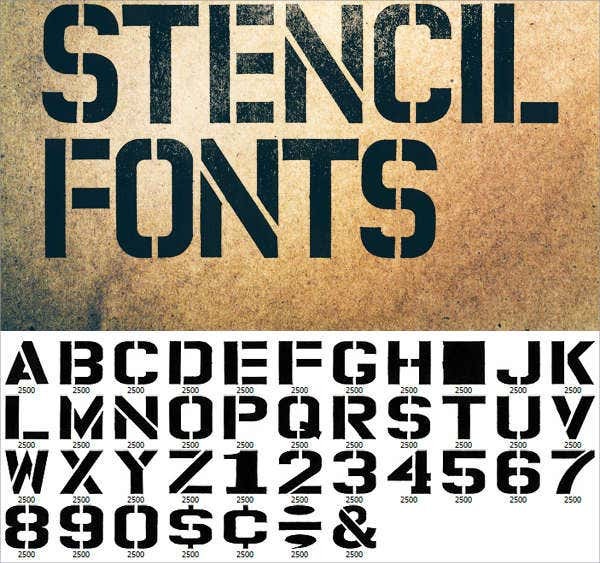 To get the stencil look, with or without the stencil, consider these samples. Like what you see? At reasonable prices to no cost at all, you can utilize these stencils for your own projects. Please do check the product specifics for each sample. Some of these stencils are offered for sale as actual stencils. You will have to place an order for the particular style of stencil and choose one of the available size dimensions. They will be cut out of material in your chosen style and shipped. Expenses and licenses applicable as specified. 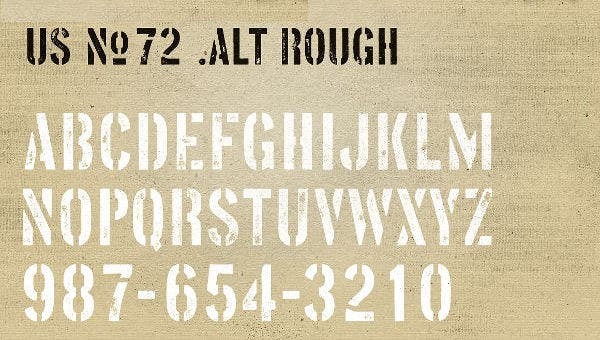 Others are available as font styles that you can download and type in. They might be available for free or at a minimal licensing cost. Whatever you choose, if you are going to use them for commercial projects, know that certain licensing restrictions may apply. Contact the artist or organization who designed and uploaded the stencils for more information on this. For other free and low-cost design and business tools and resources, hit up Template.net’s archives.